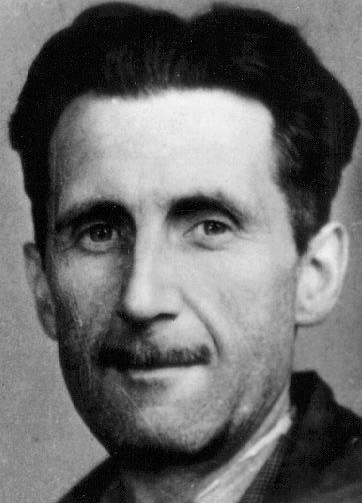 On January 12, 1946, the Evening Standard published an essay by George Orwell entitled “A Nice Cup of Tea.” Like almost everyone else in my generation, I had to read his books Nineteen Eighty-Four and Animal Farm in school. They told us a lot about society and a lot about English culture, but not much about tea. Orwell was British, and born in 1903. These two facts tell you a lot about how he viewed tea. I’ve written before about “Tea Nazis,” who believe that their way of preparing tea is the only way to prepare tea, and this essay is a marvelous example of that philosophy in action. He opens the essay by saying that if you look up “tea” in a cookbook it’s likely to be unmentioned. That was very true in 1946. It is less true now, but even though there are a lot of wonderful books about tea, mainstream cookbooks generally find it unnecessary to describe how to prepare a pot (or a cup) of tea. Since in my humble opinion just about everything related to preparing tea is subjective, I’d like to present my own take on Orwell’s eleven rules. Lets look at them one at a time. Here, I must vehemently disagree with Mr. Orwell. Perhaps the fact that he was born in India is showing through here. There is excellent tea from China (and Japan and Kenya and Taiwan…). If you want a beverage that will make you feel “wiser, braver or more optimistic,” I would recommend tequila. If you want tea that tastes good, you can find it all over the world. Incidentally, when Orwell refers to “Ceylonese” tea, he means tea from the country that was called Ceylon when he wrote this essay, but became Sri Lanka when it achieved independence in 1948. We still typically call tea from Sri Lanka “Ceylon” tea. He has an excellent point about the small quantities. To me, this means preparing it by the cup rather than by the pot, and there is a lot of excellent teaware available for that purpose. Although china, earthenware, and ceramic teapots do add something to the tea, using plastic or glass pots allows you to watch the tea steep. It also adds (and detracts) nothing to the flavor. I agree that pre-warming the pot helps to keep the water hot as the tea steeps. My biggest problem with this “rule” is the statement that “all true tea-lovers not only like their tea strong.” In fact, many tea lovers like a shorter steeping time so that the flavor of the tea isn’t overwhelmed by the bitterness and tannins that come out later in the steep. Philosophically, he’s right. Allowing the water to circulate freely through the leaves does improve the infusion process. I do prefer not to consume the leaves (unless I’m drinking matcha), but a proper modern infuser will catch pretty much all of them. The little aside that he snuck in here about freshly-boiled water is perhaps the biggest point of argument I hear from tea lovers. Does your tea really taste different if the water is heated in a microwave instead of being boiled in a teapot? Does the tea taste different if you reboil water that has been boiled before? In a blind taste test, I can’t tell the difference. Perhaps you can. I confess. I do this. Your cup is as personal as your clothing or your car. Most of the time, I use a 16-ounce ceramic mug made by a local potter. When I’m trying a new tea, I make the first cup in a glass mug so I can see it better. I typically use a smaller cup for matcha, a bigger one for chai lattes, and a bigger one than that for iced tea. Unless I’m drinking chai, I do not add milk to my tea. I have made the occasional exception (I actually like milk in purple tea), but I generally prefer to taste the tea, not the milk. “Tenthly, one should pour tea into the cup first. This is one of the most controversial points of all; indeed in every family in Britain there are probably two schools of thought on the subject. When I make chai, I don’t use either of Orwell’s methods. I find that the spices extract better with the lipids in the milk present than they do in water alone. In other words, I heat the milk and add it to the water while the tea is steeping. It changes the flavor considerably. When I’m adding milk to any other tea, I typically put it in the cup first and then add tea to it. Good point, Mr. Orwell. Now please substitute the word “milk” for “sugar” in this paragraph. Then go back and read rule nine. I don’t sweeten my tea (chai being the exception again — I like some honey in it), but I see nothing wrong with doing so. Adding a bit of sugar is no different than adding a bit of milk. Oh, and by the way, tea was traditionally prepared in salt water in ancient China. And one of my favorite chai blends does, indeed, contain pepper. “Tea is meant to be bitter, just as beer is meant to be bitter. If you sweeten it, you are no longer tasting the tea, you are merely tasting the sugar; you could make a very similar drink by dissolving sugar in plain hot water. Again, Orwell is speaking only of black tea here. I do not expect bitterness in, for example, a Long Jing Dragonwell green tea. And I would argue that there are a lot of fine black teas that have minimal bitterness: Royal Golden Safari from Kenya, to pick a favorite of mine. If I had to pick one issue to argue in this essay, it would be that George Orwell considers all tea to be the same (after eliminating the majority of the world’s production by limiting himself to India and Sri Lanka). Even within the world of black tea, there is immense diversity. I don’t use the same preparation methods or expect the same results for a malty Assam tea and a delicate first flush Darjeeling — much less a smoky Chinese lapsang souchong. My recommendation? Experiment. Try new teas, and try them first without adding milk or sweetener. Use your supplier’s recommended water temperature and steeping time. Taste the tea. THEN decide whether you want to steep it for a shorter or longer time; whether it needs a bit of milk; whether you’d prefer to sweeten it. The best tea is your favorite tea, prepared just the way you like it. Posted on 12 July 2012, in Styles & Blends, Tea Thoughts and tagged A Nice Cup of Tea, Assam, astringency, black tea, boiling, Ceylon, chai, China, Darjeeling, George Orwell, India, Kenya, lapsang souchong, milk, mugs, nineteen eighty four, purple tea, Sri Lanka, steep time, sugar, teacups, teapots, tequila, water temperature. Bookmark the permalink. Leave a comment.